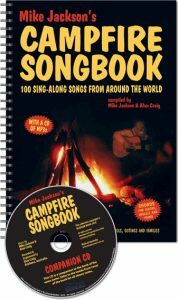 So, if you’re sitting by the campfire at night, or leaning against the old piano, or just sitting with friends around the barbeque, you’ll find dozens of lusty sing-along songs in our Campfire Songbook to keep you and your friends entertained for hours! 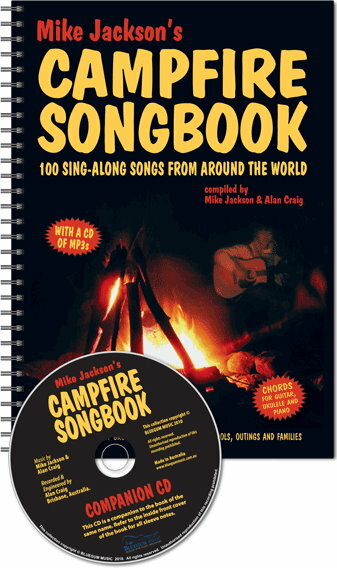 The Campfire Songbook is ideal for schools, campers, hikers, youth and church groups as well as family sing-alongs. In this convenient B5 size spiral bound book you will find 100 tunes from around the world – folk songs, blues ballads, country songs, jazz songs, fun songs, spirituals and kids’ songs – all with music and arranged with easy-to-play guitar chords!